ESPIONAGE TECHNO-THRILLERCold War II has started with a vengeance. Or, as the American president calls it, Cold War 2.0, reflecting the impact technology has in the new age of espionage. Our country is now in the crosshairs of a renewed, unstoppable enemy intelligence operation. At Langley, a report causes turbulence, as it predicts Russia’s inconceivable plans based on the apparently random incursions into other countries’ territorial space. In Moscow, the relentless Russian president and his key military leader are planning retaliation for the Crimea sanctions. America’s newest weapons system, the laser cannon, is ready to be installed on a Zumwalt-class stealth destroyer. This weapon has the ability to change the balance of power in the world, and give America the upper hand in any military conflict. But there’s a problem. Someone stole the weapon’s plans and is ready to hand them to our country’s enemies. Espionage has a new dimension. We’re under massive attack. Everyone is gettable. 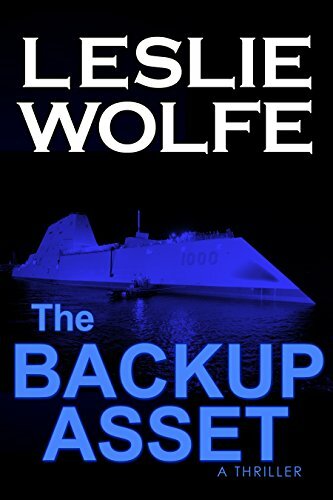 An engaging and unsettling page-turner, The Backup Asset explores the fascinating world of espionage and counter-intelligence, featured against a backdrop of cutting-edge technology and keenly depicted political conjunctures. Racing against time and unseen enemies to catch a spy and contain a critical information leak, Alex Hoffmann makes a comeback as the heroine of The Backup Asset. Putting her life on the line and risking everything she has, Alex is relentless in her quest, taking readers on a breathtaking rollercoaster ride in this fast-paced, engrossing espionage techno-thriller. Fans of Jack Ryan, Jason Bourne, and Jack Reacher will enjoy Alex Hoffmann. “Better than Clancy and Baldacci!” – Tucker D.